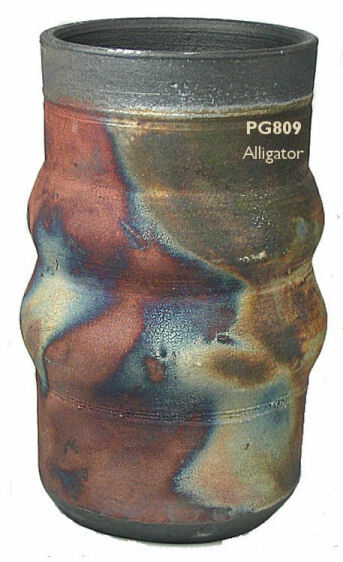 At Georgies: Cascade Raku Glazes for cone 06 firing. 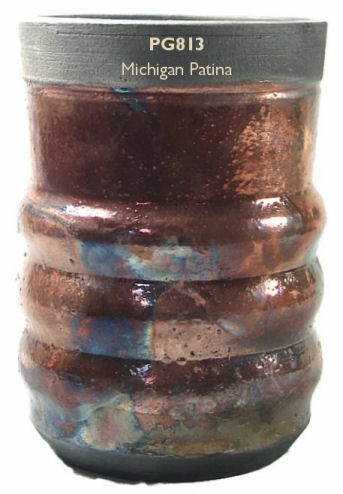 Our unique raku glazes are ready to use. Brush, dip, pour or overlap for dramatic effects -- and remember you can use the black color of the smoked clay body as a design element in your work. The photos shown here are based on our test firings. 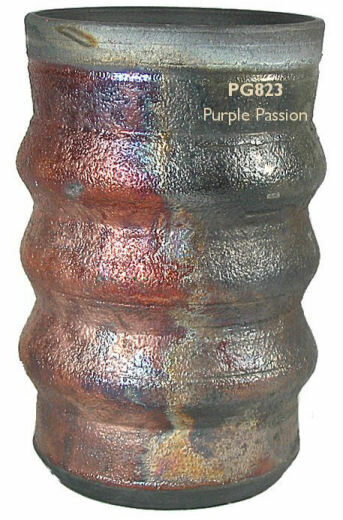 Color variations will occur with your glaze application, firing, and type and density of combustible materials used in reduction. 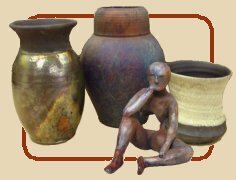 Just for fun, try using Duncan's French Dimensions raised glazes to draw designs on our raku glazes before firing -- or on the bare clay! 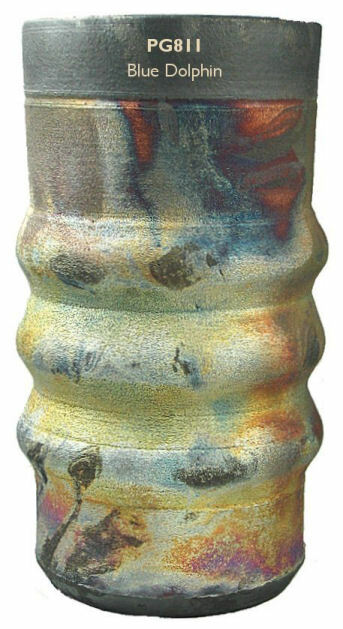 Please note: raku glazes must be fired in a propane or natural gas fueled kiln, creating at least a partial reduction atmosphere during firing, and followed immediately after firing by a separate reduction process. 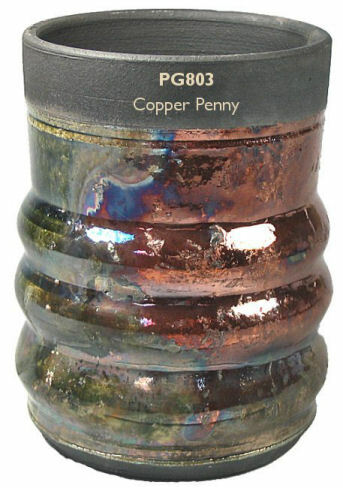 Firing these glazes in an electric kiln WILL NOT create the iridescent and metallic lusters and flashes for which raku is known. 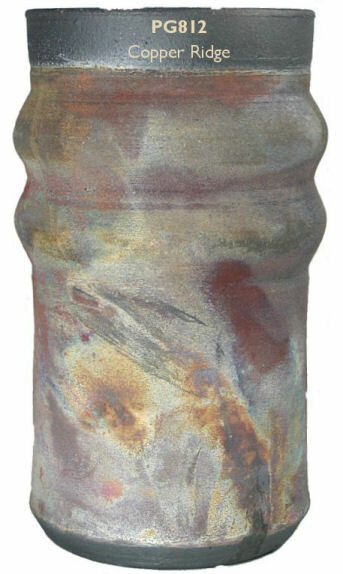 Raku is an inherently dangerous process as you work in close proximity to extreme heat and open flame. 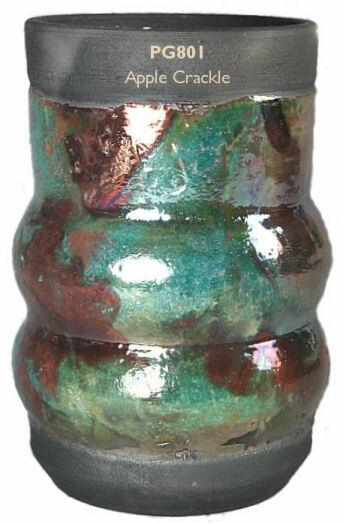 DO NOT ATTEMPT RAKU FIRING without proper personal safety equipment and thorough training in the technique from an artist or crafter experienced in the process. 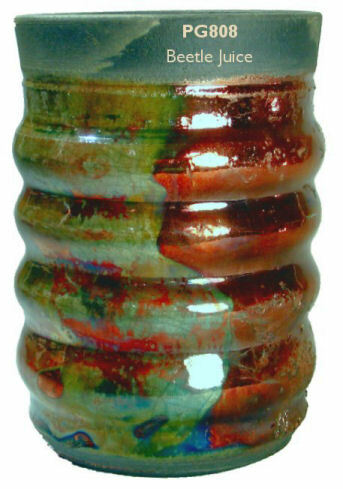 You will generally find more variation in consistency among raku glazes than other ceramic glazes. They're just not all the same in the jar! This is due to differences in their formulas: they don't all use the same raw materials. 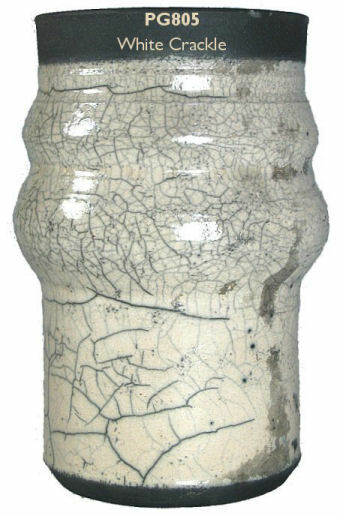 The desired consistency for raku glazes is roughly the same as milk, or slightly thicker (like chocolate milk). If your glaze is too thick, thin it with water and stir thoroughly. 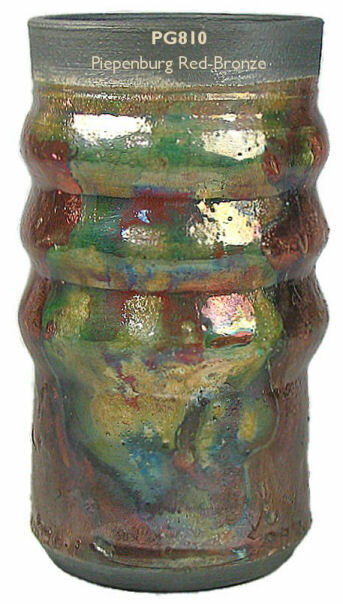 If the glaze is too thin and watery, you may need to brush or dip more coats to reach the best application thickness. 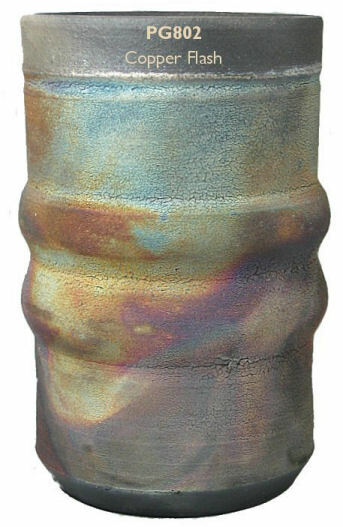 Application thickness is important because raku glazes are sensitive to thickness: too much or too little glaze will change your color and texture results. Optimum application thickness roughly equals half the thickness of a dime. 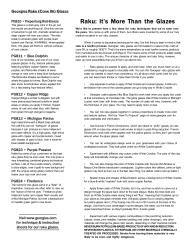 Matte glazes will often reach that thickness with only one or two brushed flowing coats. 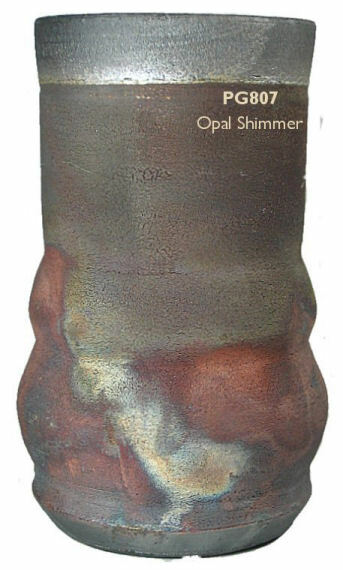 They 'prefer' to be applied thinner than gloss raku glazes. 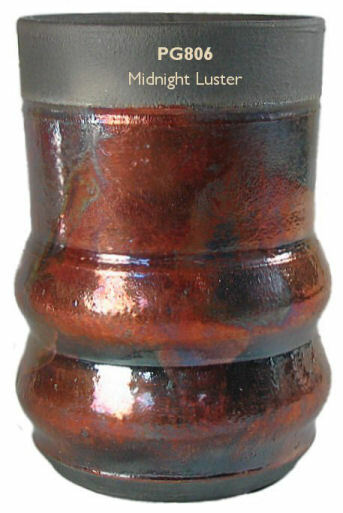 Gloss glazes usually require three brushed flowing coats to reach half the thickness of a dime. 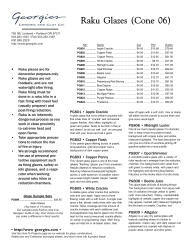 These numbers will vary depending on the consistency of your glaze and your application style. 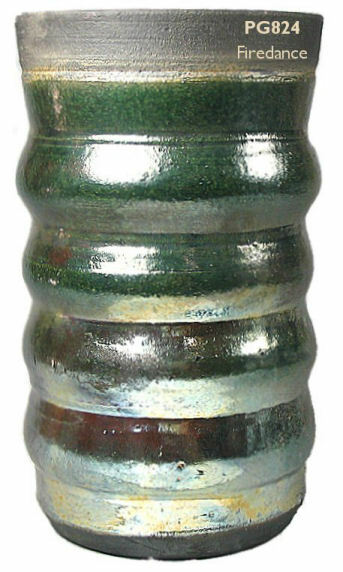 Raku glazes are never foodsafe due to their high concentrations of metallic oxides, and are NOT watertight when fired.